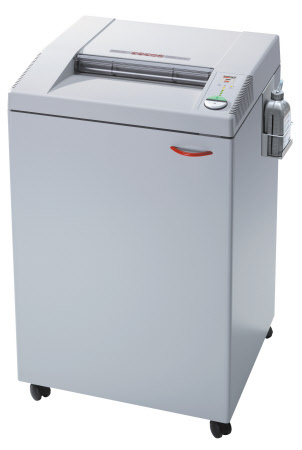 Destroyit Paper Shredders, by Ideal-MBM, provide proven efficiency and performance for commercial business where you need a reliable document destruction. 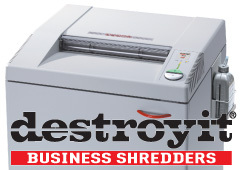 Destroyit shredders are specifically designed to meet the day to day demands of a busy office and out-perform store bought counterparts. 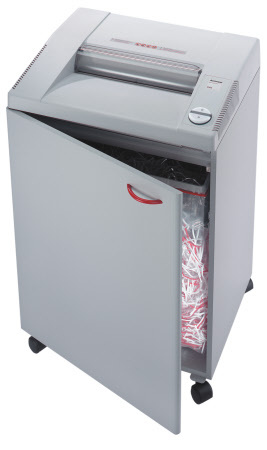 They are commercial shredders with business needs built in and come with several standard features. 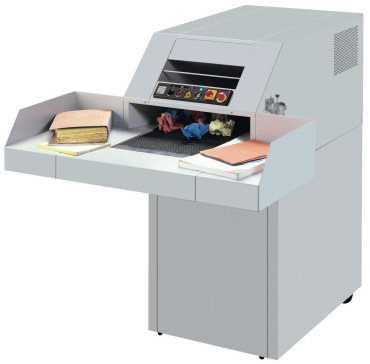 There are several security levels, waste capacity sizes and optional formats available for every business class. If you're unsure of which model will suit your needs - please contact OREweb.ca® for assistance! 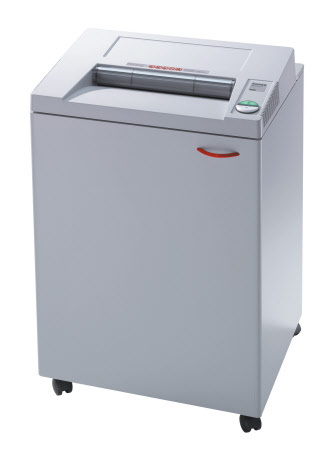 High Security MC (MicroCut) and SMC (Super MicroCut) Shredders for use in Canada Government offices where Secret, Top Secret and Bulk media destruction requires RCMP test, approved and rated document destruction standards. Up to 8,000+ sheets per day. Where small area and under or beside the desk document and media destruction is needed. Designed for small footprint and low volume use. Up to 400 sheets per day. Home and small office use. Cross and Strip cut available. 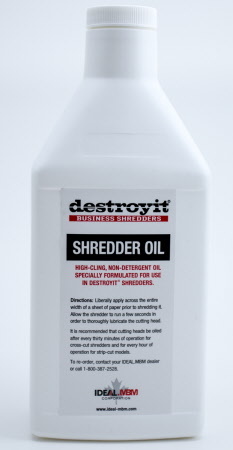 Designed for small to medium document destruction use where low to mid volume shredding is required. Can also be for personal use. From 100 to 500 sheets per day. 3 to 5 user work groups. Low to high security needs. Strip and Cross Cut available. For departments and small to medium work groups where shared equipment is used by multiple people. 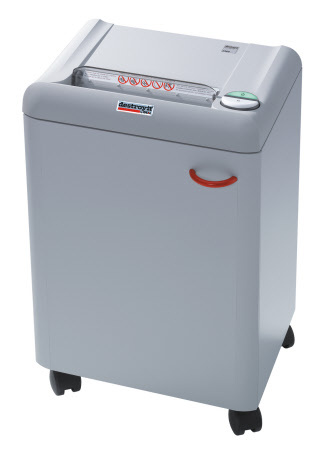 Designed for higher volume and with larger capacity waste storage. 1,000 to 8,000+ sheets per day. Models for 5 to 30 users. Low, mid and high security shredding. When large volume and high waste capacity is a concern - these industrial or commercial models fit the task. Special power requirements may be needed..
Over 8,000+ sheets per day. Utility or industrial room installation. Mid to High Security shredding. 100 to 8,000 sheets per day.